The School of Business part-time MBA program, designed exclusively for working professionals, ranked #1 in North Carolina for the seventh consecutive year in the March 2016 U.S. News & World Report rankings. Overall, the part-time Wake Forest MBA ranked in the Top 20. The School of Business MBA for Working Professionals ranked No. 30 in the nation in Bloomberg BusinessWeek’s 2015 overall ranking of part-time MBA programs. Students in the Master of Science in Accountancy (MSA) program at the Wake Forest School of Business achieved the #2 pass rate in the nation among all universities that offer graduate or undergraduate programs in accounting on the Certified Public Accountant exam, according to the 2015 edition of Uniform CPA Examination Candidate Performance. 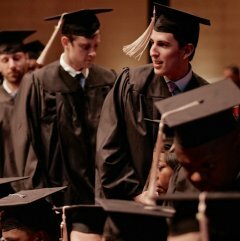 Wake Forest students have placed in the top 2 13 times since the School began offering a MSA degree in 1997, more than any other university during that time. The August 2015 edition of the Public Accounting Report places the Wake Forest Master of Science in Accountancy program No. 18 among U.S. Master’s accounting program. In the midsized category (16-21 faculty), Wake Forest was ranked 7th among master’s accounting programs. Wake Forest’s undergraduate business school placed No. 13 in the nation among 1, 114 eligible programs according to Bloomberg BusinessWeek’s “Best Undergraduate B-Schools 2016” annual ranking report. In the September 2013 U.S. News and World Report ranking of the “Best Undergraduate Business Programs, ” Wake Forest placed in the top 10 percent at No. 34 among more than 400 U.S. accredited undergraduate business programs. Wake Forest’s undergraduate accounting program placed No. 24 on the 2015 Public Accounting Report’s list of the top U.S. undergraduate accounting programs. In the midsized category (16-21 faculty), Wake Forest was ranked 8th among undergraduate accounting programs. Made From 100% Cotton, Comfortable To Wear.